Nara Rohit is one of few young heroes in Telugu who has a good has a good bass voice. His voice elevates the mood of the dialogues. Considering the specialty of his voice, other filmmakers take his help whenever they need voice-over for their films. Nara Rohit recently lent his voice to Manchu Manoj film 'Okkadu Migilaadu'. The story starts with Rohit's voice-over in the film. On the other hand, Rohit needed voice-over for his latest film 'Balakrishnudu'. So, the team has approached senior hero Jagapathi Babu and he has readily agreed to lend his voice. Jagapathi Babu recently completed voice-over work as well. It is interesting to see the importance of JB's voice-over for a commercial flick like 'Balakrishnudu'. 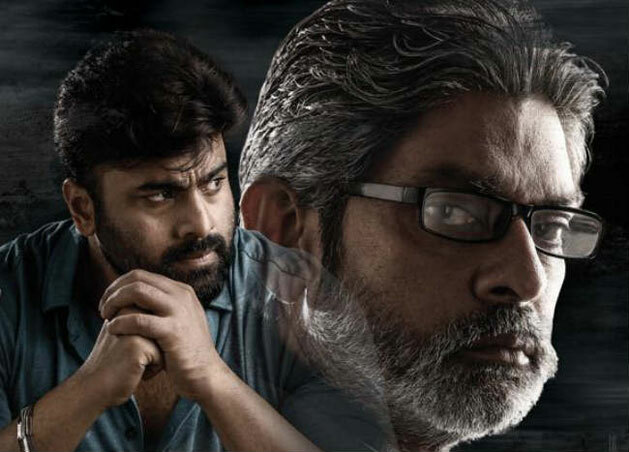 It is known that Nara Rohit is doing a film 'Aatagallu' with Jagapathi Babu in the direction of Paruchuri Murali. This association might have worked for 'Balarishnudu' team for the voice-over. Regina is the heroine of 'Balakrishnudu'. Ramya Krishna has done a crucial role in the film. Pavan Mallela is debuting as a director with this film. 'Balakrishnudu' is slated for release on November 24.